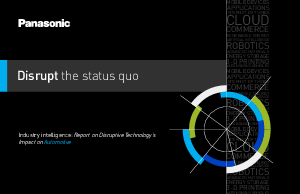 Proprietary study reveals benefits of embracing disruptive technology vs. risks of waiting. A recent survey of more than 400 technology decision makers across 13 industries indicates that early adoption of disruptive technology is seen as less risky than waiting. Across all industries, including among technology leaders in Automotive, there was near consensus that adopting disruptive technology has become the price of doing business and staying in business.